PICO C & PICOSTILL COMBO OFFER! Now you can get the award winning Pico C and the amazing PicoStill, plus a Ginger Kombucha Pak, extra serving keg, and cold brew coffee bags for just $524 - your chance to save more than $250 on this great combo! 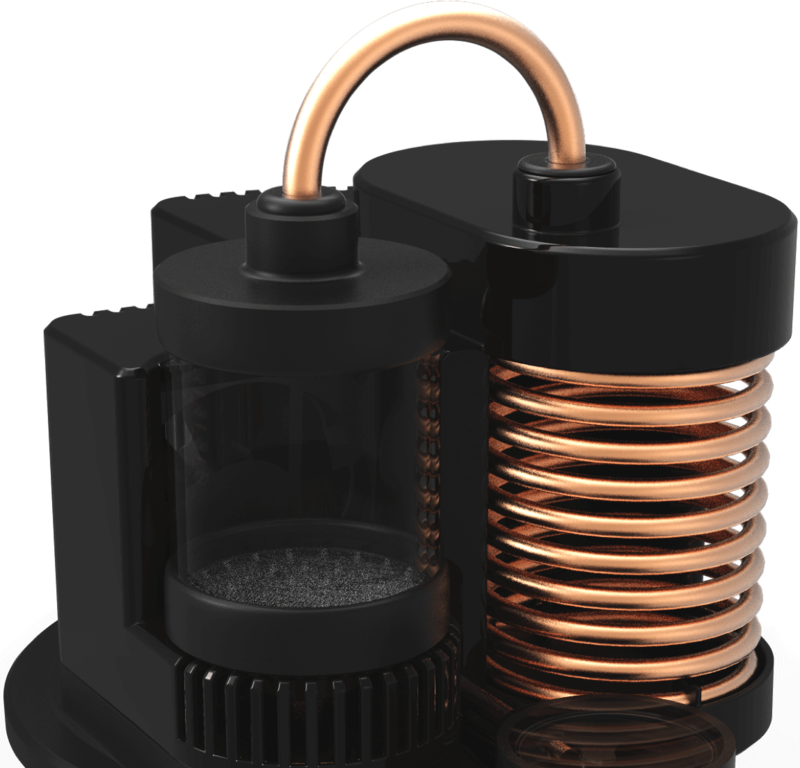 Meet PicoStill, our new distilling attachment. Affordable, quality design elevates craft brewing for professional distillers and homebrewers alike. Distill pilot batches of spirits safely and more precisely, or use PicoStill to capture the essence of hops and other oils and imbue food and beverages with unique flavors and aromas. Designed to fit perfectly over the Pico C Keg to distill water, hops, herbs, spices, grains, and more. Polished copper and clear glass strike a beautiful balance of aesthetics and superior functionality. PicoStill is the essential accessory to a licensed craft distiller’s arsenal for precise execution and safety. The patent-pending design substantially reduces the dangers inherent in distilling spirits by automatically separating the methanol from the heads. Using commercial PicoBrew equipment to create pilot batch mashes, and then PicoStill to distill them, a licensed distiller* can produce approximately 500 milliliters of spirits from a 5-liter source, including vodka, whiskey, bourbon, moonshine, gin, brandies and schnapps. After producing the base liquor, use the PicoStill to extract cocktail enhancements from herbs, spices, citrus and more. *PicoStill operators must act in compliance with their local, state and national laws. As with beer production on PicoBrew devices, compliance with regulation and national and international law is the responsibility of the PicoStill owner. Explore fresh flavors and new aromatic horizons with PicoStill. Whether you’re a brewer and baker or a gourmet food maker, infuse your creations with hop, herb or spice oils, rosewater and more. Commercial breweries have been using hop oils to quickly infuse beers with distinct hops aromas and flavors, a process that is often achieved by “dry hopping”, which can take up to a week. Homebrewers open another realm of possibilities DIY-distilling their own essential oils, beginning with hops. Have control over temperature for precise and safe distilling with indirect heat under vacuum and a first cut collection chamber. Our original, patent-pending design contains an infusion basket for hop oil and essential oil extraction. For licensed craft distillers looking to develop experimental batches of spirits quickly and easily, the infusion basket works great for infused beverages. The distillation column can be used for straight distilled beverages like gin or vodka. For brewers and licensed craft distillers. Hops and citrus oils level up your brews, while the still in a professional's hands takes craft distilling to the next level. 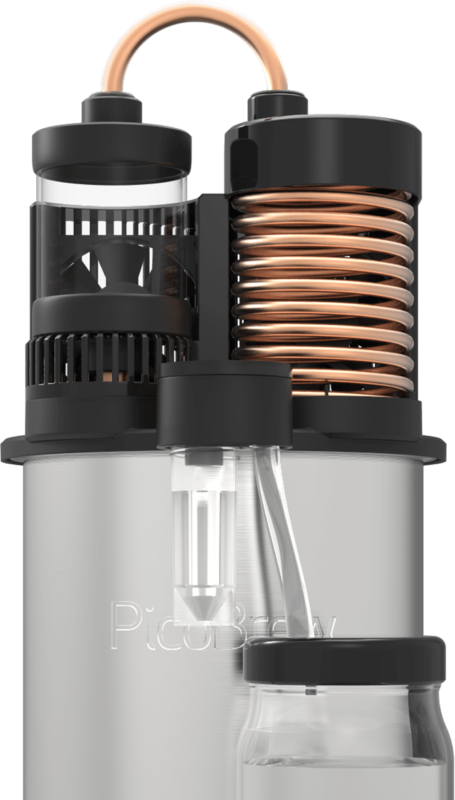 The most affordable, flexible still out there, and compatible with all Pico brewing appliances (Pico S/Pro/C required to operate PicoStill).